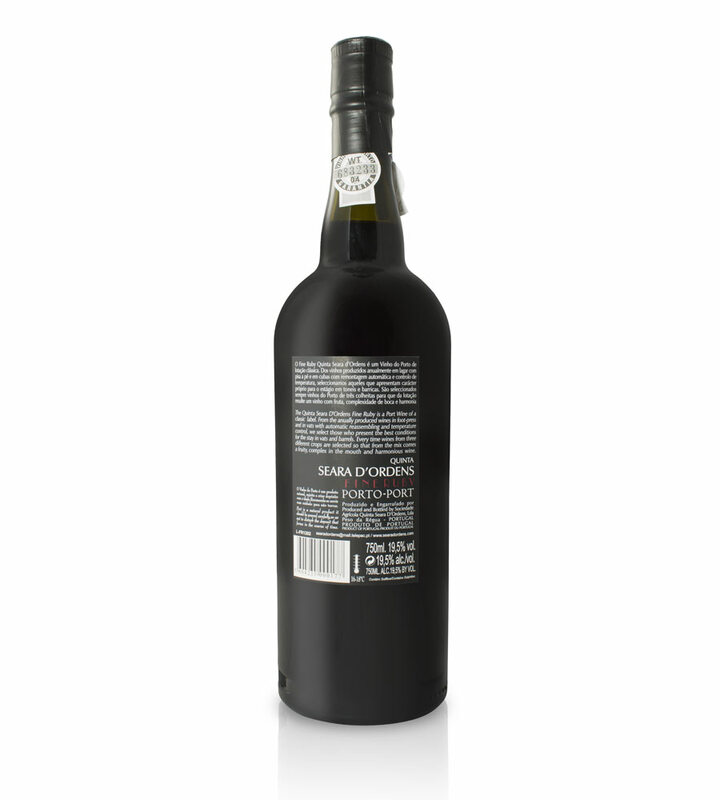 Of ruby color, the Fine Ruby is a Port Wine with a fruity, dense and ripe aroma. In the mouth, it reveals complex, balanced, with persistent finish of ripe fruit. 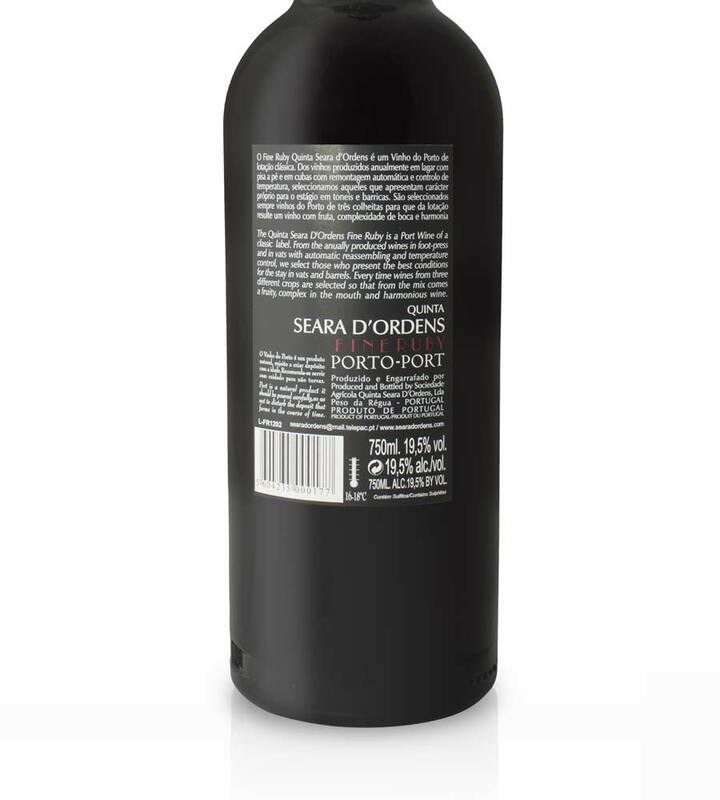 The Quinta Seara D’Ordens Fine Ruby is a Port Wine of a classic label, A careful selection of the best Douro varieties, give this Fine Ruby its unique personality. From the anually produced wines in foot-press and in vats with automatic reassembling and temperature control, we select those who present the best conditions for the stay in vats and barrels. Every time wines from three different crops are selected so that from the mix comes a fruity, complex in the mouth and harmonious wine. Port is a natural product. It should be poured carefully, so as not to disturb the deposit that forms in the course of time.